I’ve received a few requests to transcribe the sheet music for my Zelda Palace arrangement, so hopefully those of you who’ve been waiting for it will enjoy. excellent job on this, hoping to see more from you, still waiting for those SMG/FFX arrangements! thanks for sharing your work. your arrangements always capture the what i love about the originals. i look forward to your take on gusty garden. question: the last RH interval of the 21st measure... is that intended to be an F# octave or is the higher note a natural? Let me know if it helps, Aivi! 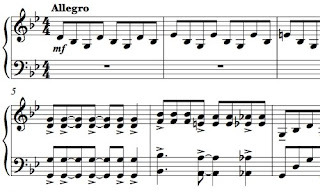 Thanks I wanted to practice this, and what piano do you use? Dear Miss Tran, I was wondering if you could recommend any piano pieces for me. I have played Gymnopedie so I was thinking something around that level that kind of sounds like Fall of the Innocent and Rain and Alice and the White Rabbit? 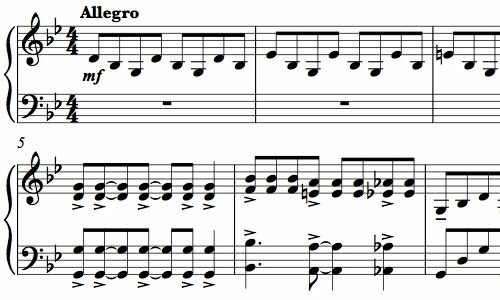 Could you make some Zelda Spirit tracks sheet music? if you can, please include the sanctuary theme, over world theme, both boss battles, and the main theme. could you also make an arrangement of the Spirit Tracks Castle Town theme? When I was in high school, I also loved playing works by Suzanne Ciani. She has a lot of new age-inspired piano pieces that sound great without being technically difficult. And finally, I'd recommend some of Yann Tiersen's music, like the famous "Comptine d'un autre été: L'après-midi" from the Amelie soundtrack.